Click here for the Hours of Operation! SURF’S Up! It’s the three day beach party blowout – at Breakers Water Park! The last 3 days of the season will be a beach party like no other! 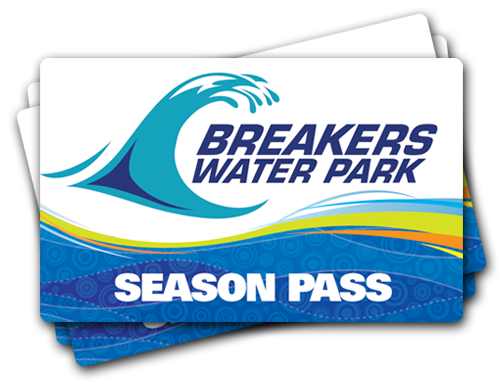 With Breakers regular park attractions, AND beach games, contests for prizes. 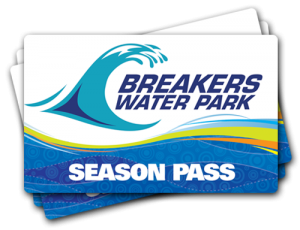 Unlimited admission to Breakers Waterpark all summer! Get into the park at 9:30 – 30 minutes before our regular guests. Check out the Perks of being a Season Pass Holder Here! Note to our visitors: coupons and specials at Breakers Water Park can change without notice. So please visit their official website to make sure of the latest pricing and coupons.